Those are some of the emotional and physical reasons why we eat but do we ever put much thought into why our body needs food? Not just any food, by the way, but healthy, good-for-you food? Why is good nutrition important? The foods we eat provide the energy our body needs to function. Just like we need to put fuel in our car or recharge your cell phone battery, your body needs to be fed energy-providing foods every day. The main form of energy for your body is carbohydrates. Our body has the easiest time digesting carbohydrates like sugar and starch. Carbohydrates are broken down into individual glucose, fructose or galactose units. Glucose is your body's favorite form of energy. If we don't get enough carbohydrates, your body can make glucose from protein or fat -- and if we get too many carbohydrates, our body is very good at storing them as fat. Vitamins and minerals we get from our diet are just as important as carbohydrates, protein, and fats; however, you only need them in small amounts. Vitamins and minerals usually function as co-enzymes, which means they help chemical reactions in the body happen a lot faster. For example, many of the B complex vitamins help our body burn carbohydrates for energy. Vitamin A is needed for vision, zinc is involved in many metabolic processes, and vitamin C helps to keep connective tissue strong and our immune system functioning. Good nutrition provides more than energy, structural components, vitamins, and minerals. There are other substances in the foods that we eat that have become better known over the last few years. Antioxidants help protect our body from damage that comes from the sun, pollution, smoke, and poor dietary choices. They are found in the phytochemicals of fruits and vegetables, as well as some vitamins and amino acids. When we eat a food, we don't eat just a carbohydrate, fat or protein. We eat a piece of apple pie, a steak, or a lump of mashed potatoes. Most of the foods we eat consists of varying amounts of all three of these nutrition components. Good nutrition means getting the right balance of carbohydrates, fats, and proteins, plus the required vitamins and minerals. 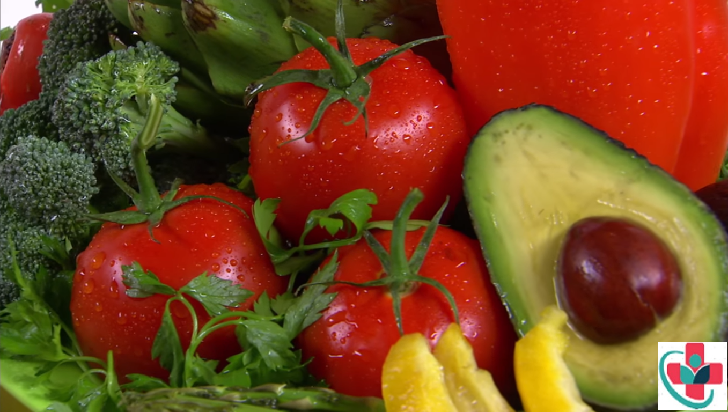 Great nutrition means getting a lot of the phytochemicals and antioxidants, too. For example, that chocolate covered donut mentioned in the first paragraph contains lots of sugar and white flour; if we eat too many of them, we'll take in extra calories that will be stored in our body as fat. The donut also contains lots of fats, probably trans-fats, that can raise our risk of heart disease. The donut doesn't provide you with much in the way of vitamins, minerals or other substances, such as natural anti-oxidants or healthy fatty acids. When we think of it this way, that donut may not sound so good anymore. An example of a good source of carbohydrates would be almost any fruit or vegetable. These options allow you to get the carbohydrates you need for energy, plus fiber for a healthy digestive system, vitamins, minerals, and anti-oxidants. About half of our daily calories should come from carbohydrates. Those carbs should come from fruits, vegetables and 100% whole grain pieces of bread and cereals -- not from candy, sodas, and pastries. This concept works with proteins and fats, too. A healthy protein source is one that does not add extra unhealthy fats and hopefully offers some fats that are good for us, like navy beans. These beans provide protein, fiber, vitamins, minerals, and carbohydrates. An example of an unhealthy protein is bacon. Bacon, and other processed meats like it, contain lots of fats and calories which can impact our heart health, expand your waistline, and even increase our risk of cancer. Healthy fats come from foods that contain polyunsaturated or monounsaturated fats, like olive oil, fish, walnuts, soy, flax seeds, and canola oil. While these fats and oils contain a lot of calories, we do need the fatty acids they provide. Unfortunately, there are a lot of unhealthy fats to be aware of. Saturated fats, found in some stick margarine, baked goods, and processed foods, are very bad for our health.